Happy New Year and Annual SALE! Happy New Year everyone – hope you all had a great 2013! After an amazing 2-weeks away with my family I am sloooowly getting back into things at the shop – hence the silence on the website! Three things to share with you all! Watch here for FULL details of all the sale yarn! Here is a sweet little project that I meant to share weeks ago. 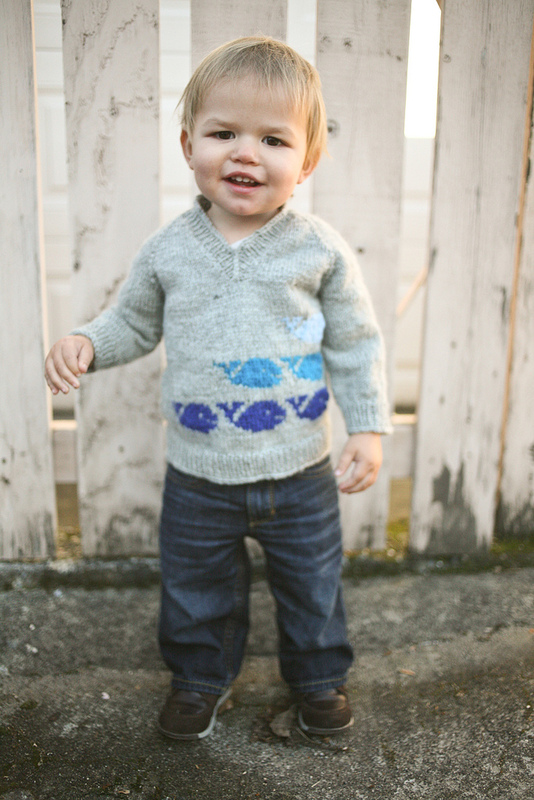 My little nephew Stanley is turning 1 year old soon, to celebrate him I made this GREAT little sweater! 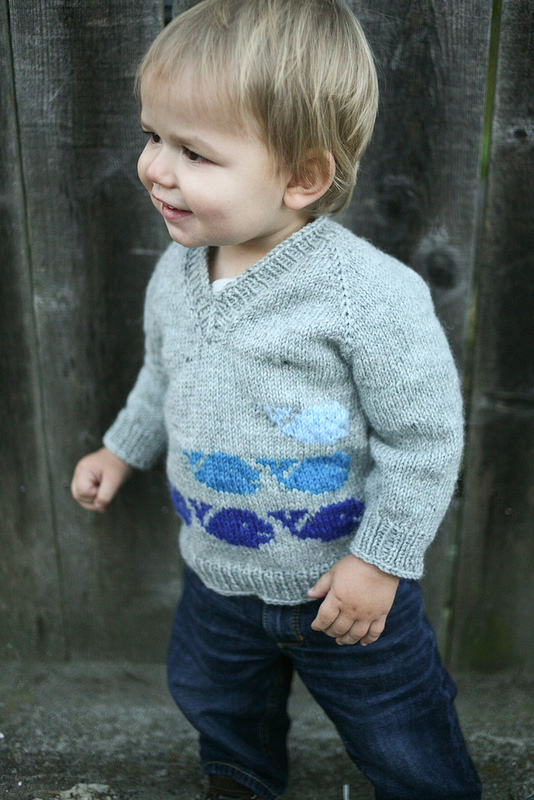 The base pattern is called Greyson – what a fantastic, easy and modifiable top-down raglan pattern. The designer writes it for a DK, Worsted or Chunky weight yarn, and in a full range of sizes. I decided to add the adorable whale details using this chart. I also used THIS amazing tutorial on how to do colourwork for a pattern like this – It actually kind of rocked my world, and I’m excited about doing suspended colourwork in a project in the round! I hope Stanley likes the sweater!